The back street that ran neatly between Bradshawgate and the pedestrianised half of Newport Street was always as damp as it was dark in those autumnal Monday evenings in 1988. The building whose basement we used as the headquarters of our Young Enterprise business was more easily accessible via the cut through that led past HMV from the town hall square end of Newport Street, or Nelson Square. We never walked that way out though, always taking the longer, dingier route down towards Great Moor Street where we would turn right, walk a hundred yards and try and convince the bouncers on the door of the otherwise empty bar that we were over 18, just as we had been the previous week, and the week before that. More often than not we would be allowed in where I would put 50p in the video jukebox to watch The Darling Buds, make half a pint of gassy Greenall Whitley bitter last a whole hour, and wonder all the things that a sixteen year old wonders on a Monday night. Before our small band of would-be entrepreneurs had fully assembled and talk could focus upon the task in hand (compiling stationery sets to sell to the unsuspecting folk of Bolton) we three boys from the Boys School would chat awkwardly whilst casting nervous glances in the direction of the three girls from the Girls School and the two girls from one of the other schools in Bolton. They didn’t bite, we knew that, but still … Louise came from Chorley, had just joined the Girls School for the sixth form and had more confidence than the trio of boys put together. She told tales of eagerly chasing The Railway Children’s singer and songwriter Gary Newby down the street and into the band’s tour van. I was possibly the only one paying any attention. I’d just bought Over & Over, having had a couple of spare pounds burning a hole in my pocket. It was a very catchy pop song with a harmonica hook that popped in and out in equal measure; much more poppy than the other alternative music I had been voraciously discovering. It had lyrics about leading secret lives, and a shiny plain blue cover with white writing upon it bearing the band’s name. There was no picture. Louise seemed to know quite a bit about The Railway Children and her enthusiasm drew me out of my shell a bit. We talked about The Railway Children, James, Inspiral Carpets and other music from Manchester and I learned that, actually, The Railway Children weren’t from Manchester. Maybe Louise had got it wrong; after all, I was by now thoroughly enjoying Sunflower Room, the band’s contribution to the much-celebrated Manchester, North Of England compilation tape. Amongst the many excellent tracks on the tape, The Railway Children’s entry had just the right balance between comfort and hope; “Don’t you worry,” sang Newby, “cos we’ve got time. If I whisper your name will you hum mine” and I believed him sincerely. If I carried on doing what I was doing – whatever that was – and everyone else did the same, things would work out. I needed things to work out. I’d surpassed my own expectations and got decent enough GCSEs to continue into the sixth form whilst avoiding the worst of the acne plaguing my friends; now though I was faced with impending adulthood with the continued inability to form coherent sentences before girls I fell for. I was discovering my socio-political leanings; the company my dad worked for was being run into the ground and my sister was inconveniently popping into the Children’s Hospital for major surgery to insert a steel rod into her spine. I know: thoughtless. On the plus side, the daily trips back and forth along the A6 between home and hospital gave me time to really get to know The Railway Children’s first two albums, as my mate Chris had taped them for me. The first album sounded more, well, industrial than I had expected, with very bold, stark and metallic sounding bass, drums and guitar. The Railway Children were from Wigan, Chris informed me. Wigan? Bands don’t come from Wigan, or at least in my head they didn’t. Wigan was where my dad worked, where we’d get the train to Scotland, where they played rugby, where Uncle Wilf lived. However, listening to the lyrics it did seem to make sense. “The great coal slopes look like mountains” according to Railroad Side from the band’s debut album Reunion Wilderness, and I imagined the four of them – Gary Newby (guitar and vocals), Brian Bateman (guitar), Guy Keegan (drums) and Stephen Hull (bass guitar) – sitting on the two-carriage shuttle from Wigan Wallgate to Manchester Victoria passing the very same coal mountains I would see just past Atherton. For a moment it seemed as if the people singing songs that I listened to might actually be singing songs about the very same things I was seeing. My imaginary bond with the band was sealed when I popped into Wigan and found indie and skateboard specialist Alan’s had in stock A Gentle Sound. This was The Railway Children’s first single, released on Factory as would be Reunion Wilderness and subsequent single Brighter, and it didn’t take long before the band were signed to major label Virgin. It was easy to see from their earlier works exactly why they had been snapped up. Newby’s voice had a lush tone, his lyrics an intelligently naïve take on imagery, and the band backed these two factors tightly and compassionately. The acoustic strum of A Gentle Sound accompanied lyrics detailing a small and isolated coastal chapel, romantic in the classical sense, and the single itself boasted a freshness that was otherwise lacking in so much of the commercial music output of the British record industry. Brighter was similarly sprightly, its spacious arrangement embellished by percussion, and here Newby’s voice and lead guitar were really allowed to shine. The Railway Children’s second album Recurrence brought with it a much more polished sound, with guitars chiming with sensitively placed chorus and reverberation, whilst the songwriting was a mature consolidation of earlier work. 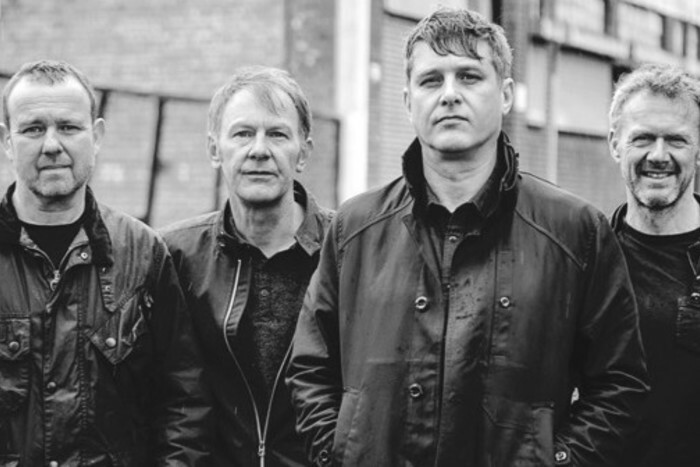 Lead single Somewhere South certainly stands the test of time, with its stereotypically northern poetry describing a “landscape like an overcoat and thoughts like rain”. The album carried with it a suggestion of a band growing up, and it helped The Railway Children make inroads into the American college music scene. If Recurrence brought with it a more measured approach and commercial edge, it was also just a fragment of the songwriting undertaken by the band at the time. Sessions and live performances included an array of otherwise unheard songs, many of which would later manifest themselves as multi-format B-sides. In the album closer No Great Objections Newby sang how “tame rivers pulse on the inside” whilst the guitars rang and chimed in celebration of the completion of what bands often experience as that ‘difficult second album’ and that promise would not take long to yield. Whereas Reunion Wilderness and Recurrence are both accompanied by memories of darkness and rain, the next album will forever be associated with warm sunshine, long grass and walking Susan next door’s dog through Farmer Bonnie’s top fields. This third album also brought with it some much-needed commercial progress for The Railway Children. 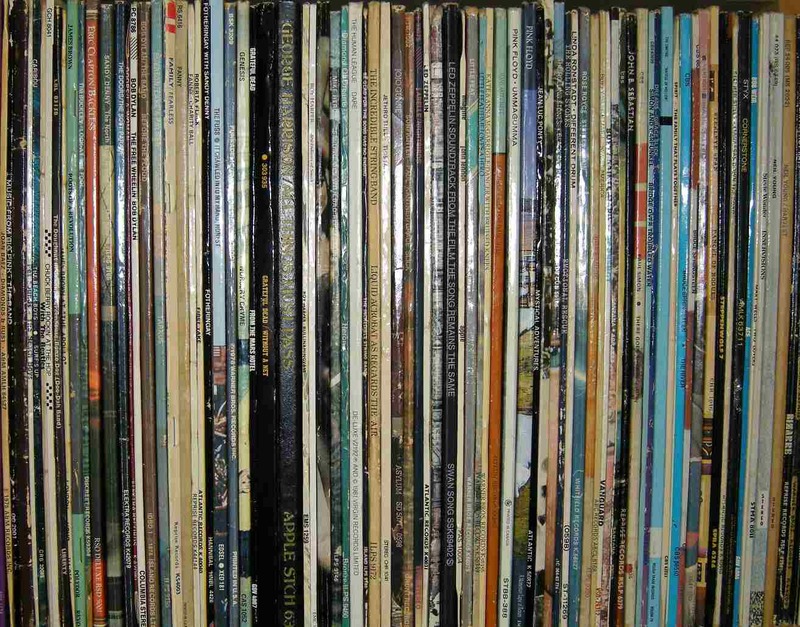 Although all the albums were clearly the work of the same tight-knit musical unit, each had its own very definite sound and Native Place found itself firmly in pop territory. The artwork of both album and its accompanying singles saw a noticeable shift too, the record company keen to exploit Newby’s boyish good looks. There was hope in this strategy; as spring blossomed into the summer of 1990 and A-Level study became A-level sitting, so I tried to impress my neighbour with the friendly face of alternative pop. It worked to an extent: Susan thought Gary Newby looked “fit” on the cover of the single Music Stop and liked the song. She quite liked its predecessor too, Every Beat Of The Heart, which gave me the excuse to play its B-sides. The Railway Children’s B-sides had always been strong, and Everybody was no different. To this self-proclaimed misunderstood teenager who couldn’t pluck up the courage to say what he wanted to say, it was of no little comfort to just sit back and sing along, “It’s your loss, hey, everybody”, backed by the pure and joyful jangle of guitar. Native Place would ultimately see the band break through the psychological barrier of the Top 40 singles chart. I say psychological, but maybe it was just my psyche that found there to be a barrier between what those around me would see as ‘legitimate’ pop music and the dark side. Crammed full of fine tunes, it took a barrier-busting re-release of the lead single Every Beat Of The Heart for the world to be properly introduced to the songsmithery contained within; Because, Cotton Counting, later single Something So Good and title track Native Place being just four examples. Maybe it was just a matter of timing but this latter song would really grab a place in my heart. Still today it conjures up memories of leaving home – first to Bantry Bay and then to University in the north east of England – of letters written home to friends and family, and of evenings thinking fondly of people and places I’d not long before felt I’d outgrown. The suffocating familiarity of my small home town was now replaced by a city anonymity in which I was drowning and when Newby sang “In a native place you can hide away” he provided much needed comfort. There was now a great satisfaction to be had seeing The Railway Children performing on Saturday morning TV shows. Appearances on the BBC’s Going Live!, and live band performances on ITVs Motormouth with singles Something So Good and So Right respectively, looked set to cement the band’s deserved new status as indie-band-come-good. It wasn’t to be, of course. 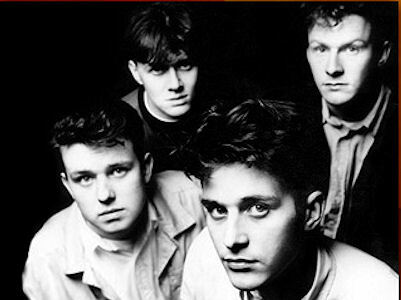 New songs were showcased on a live Radio 1 broadcast from Derby in 1991 (now downloadable from Amazon and iTunes, along with several other radio session tracks) and suggested more of the winning formula contained within Native Place but the Wiganers would release nothing further and would disband before 1992 was out. A fourth album, Dream Arcade, was released by Gary Newby under the band’s name in 1997; it supposedly comprised songs he had intended the band to record before their split with Virgin five years previous, apparently recorded by Newby with session musicians. Although the songs remained good they lacked the spark of recordings made by the original line-up, a fact only emphasised by Newby’s subsequent download-only release of two albums’ worth of band rarities. One of these tracks – Shopping Around – could later be heard on one of the BBC’s several bargain-hunting programmes, no less. To bring this Toppermost to an almost-circular conclusion I return to an early song. It is something of a cliché to reminisce and consider how life would have been so different if we knew then what we know now. The Railway Children bring memories of drizzly alleyways, formative relationships, family stresses and the transition from teenager to young adult. In hindsight I would have done well to console myself more frequently with Content, B-side to The Railway Children’s debut single. “You’re a loser or a winner, the fence has been broken/I hear you’re a beginner, well nothing is sacred” is the lyrical message of the acoustic refrain, and now I can see that all of the above applied all those years ago. Things work out: I survived University, my sister’s op was a success, I didn’t get post-adolescent acne and my dad found a new career as an embalmer. The socialist future I had hoped for hasn’t yet materialised but I live in hope. I don’t know what happened to Louise, or indeed any of the other young entrepreneurs, but I do know The Railway Children reformed for a handful of well-received gigs in 2016 and I hope this Toppermost whets your appetite to investigate further. Saw the Railway Children last year in Manchester – terrific gig. If you get the chance to see them live, don’t miss it. Great night out. Looking forward to their return in 2017. 100 Club London gig was amazing, “Brighter” gets me every time – mate said Bernard Butler was in the crowd! I loved them at the time although Reunion Wilderness is by some distance their best work. Once danced to the slightly undanceable ‘Brighter’ at the Hacienda and picked up the album on cassette in one of the big Factory boxes when home in the summer on holiday from the Virgin Megastore on Oxford Street. John, that’s a beautiful piece of writing and the Railway Children are truly an amazing band and should be an essential part of any music fans collection. Saying that I must admit that they were a later discovery for me after they disbanded as their stuff was not seen often this side of the Atlantic in those early days and it was only after they were gone that I really appreciated how amazing their records were. I still have a few missing pieces in their collection to find but everything I have by them, I have thoroughly enjoyed.